I was working on the November newsletter and thinking about the things I am thankful for, in preparation for the Thanksgiving holiday. 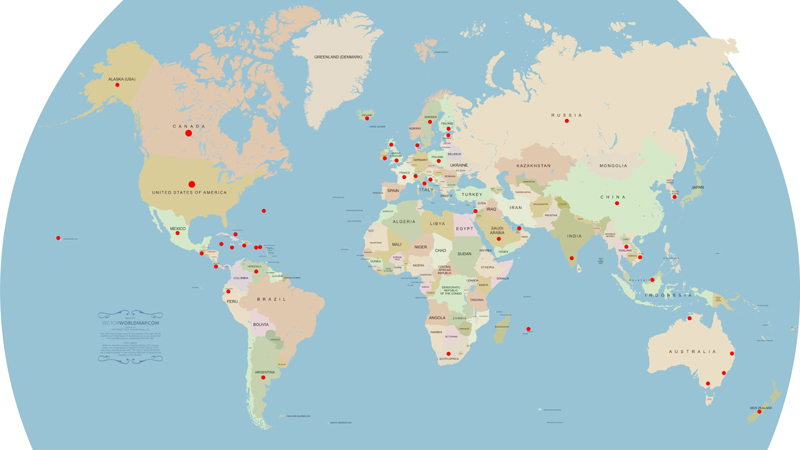 One of those things is that I’m part of the exciting, growing concrete countertop industry that is rapidly expanding not just in the U.S. and Canada, but all over the world. This inspired me to make a map of where all my students have come from. Here is the result. It’s amazing where this concrete countertop phenomenon has traveled!